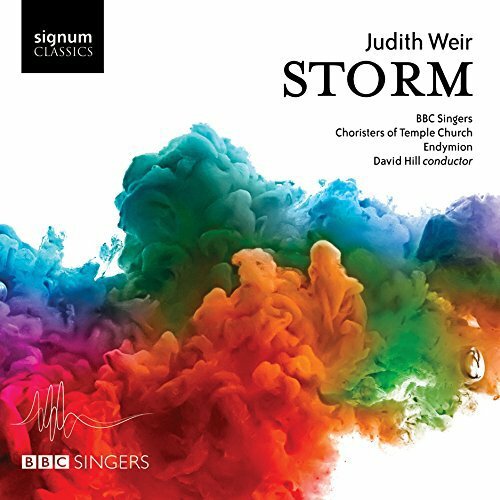 I was familiar with a number of Judith Weir's choral works, but some performed on this new disc from Signum Classics were new to me and the disc has enabled me to come to know the full range of works this Scottish composer's repertoire. This disc is the latest in the BBC Singers admirable single composer discs, conducted by David Hill they are joined by Endymion and the choristers of Temple Church, to perform All the Ends of the Earth, Magnificat and Nunc Dimittis, Missa del Cid, The Song Sung True, and Storm. 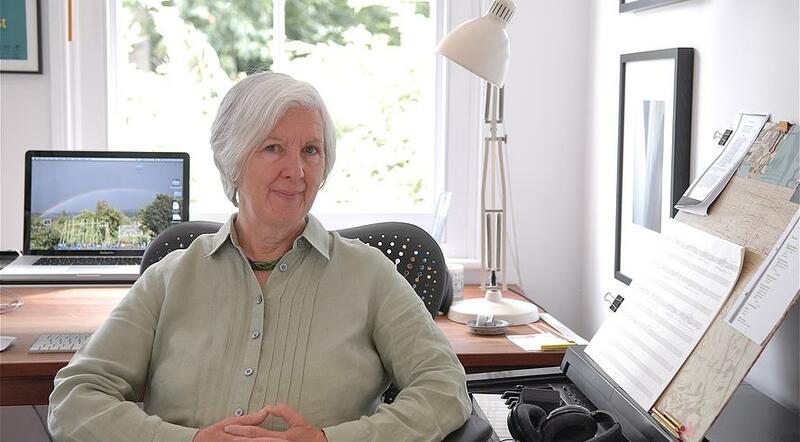 Born in 1954, Judith Weir has developed her own distinctive voice in contemporary music. Whilst much of her music is tonal and approachable, there is distilled aphoristic quality to it which can make it challenging to fully apprehend. This is music which warms on knowing. All the Ends of the Earth was written for chorus, percussion and harp for the BBC Singers to perform on 1 January 2000 as part of a Europe-wide radio broadcast celebrating the music of Perotin. Judith Weir has based the work in Perotin's Viderunt omnes but she has kept only the cantus firmus, (sung by the tenors and basses reinforced by tuned percussion) taking only certain 'pillar-like' syllables between which the music for sopranos and altos sets the Alleluiatic sequence. Judith Weir's polyphony for the female voices is lively with lots of widely spaced intervals, with a medieval feel to the harmonies. It is sung here with a lovely energy, contrasting with the static massiveness of the men. Gradually the two come together in an ending full of very appealing yet complex textures and vivid energy. I heard the BBC Singers perform this live at St Giles Church, Cripplegate and was very taken with it then and am delighted to encounter it again on disc. Her Magnificat and Nunc Dimittis were written in 2011 as the result of an invitation from Andrew Nethsingha to write a 'Mag and Nunc' for St John's College, Cambridge. She admits in her note in the CD booklet the she had little experience of Anglican Liturgy and the work was written in the spirit of exploration. The long Magnificat text is set for just SATB, in a very direct yet free flowing manner which keeps the piece to under 4 minutes. After a vivid opening there is a complex interweaving of voices but always with a very expressive attention to the words and a clarity of textures. The Nunc Dimittis opens with a lyrically expressive section for the men, who are then joined by the women for a setting which is both passionate and thoughtful. Sung at a steady speed, there is clarity but also strength and passion. There follows one of Judith Weir's best known early choral works, the Missa del Cid from 1988. This combines the structure of the mass with sung texts taken from the Latin liturgy as well as the 13th century Cantar del Mio Cid, this latter work also supplies the narrative (spoken by Charles Gibbs) which describes El Cid's exploits fighting the Moors and reconquering Spain. Judith Weir talks of imagining a mass attended by El Cid and his troops, saying she wished to explore the strange medieval relationship between warfare and religion. It sounds and odd mixture, but is highly satisfying in performance. Here Charles Gibbs strikes just the right note in his narration, and the BBC Singer and David Hill bring a wonderful sense of ecstasy to the choral sections. Much of the music is complex and multi-layered, but always performed with energy and being highly involving. The Sanctus is surprisingly edgy whilst the Benedictus makes strong use of intense austere harmony and dissonance, whereas the Agnus Dei relapses into intense textures and silence. The final work in the disc Storm is inspired by Shakespeare's The Tempest. Judith Weir was commissioned to write a setting of Our revels now are ended in 1994, and set it for four-part female chorus (SSAA), treble chorus and nine-piece ensemble of flutes, cellos and percussions. Finding more inspiration in the play, she expanded it to five movements, each attempting to distil a particular element from the play (Storm & Shipwreck, Charm, Magic, Spirit, Mercy). Here they are performed by the women of the BBC Singers, the trebles from Temple Church, and Endymion conducted by David Hill. The resulting work is Judith Weir at her most aphoristic, distilling the essence of an entire play into five short movements. Each movement has a particular tint, but the whole memorable for the light, fluid and transparent textures. The storm is surprisingly calm, whilst the shipwreck is a lovely lamenting melody. Charm is haunting and rather magic and Magic is an exploration of the various textures possible including a lovely opening for women and untuned percussion, later joined by flutes. Spirit, the original commission, is gently elegiac with a fluid transparency whilst Mercy is short and brings it to a highly distilled conclusion. Judith Weir has a very distinct voice, with clarity of texture, clear intelligence, an appealing complexity and directness. She has worked extensively with the BBC Singers over the years and their performances of her music on this disc have an appealing directness and clarity which suggests the singers really responding to her music. David Hill directs with his familiar combination of skill, intelligence and sympathy. I can think of no better way of starting an exploration of Judith Weir's music.